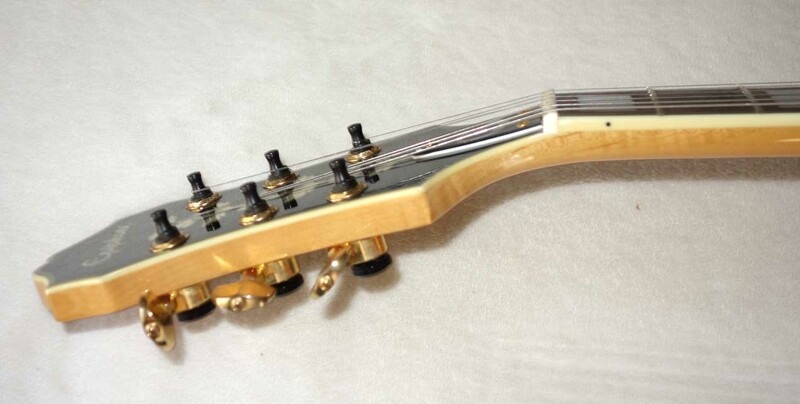 Made by Peerless (South Korea) in June, 2004, Nut Width: 1 11/16" (42.5mm); Weight: 6 Lbs., 15 Oz. 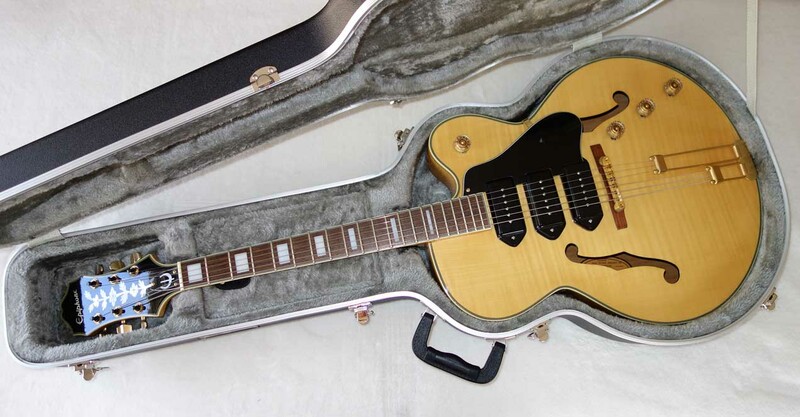 Up for sale is a used 2004 Epi Zephyr Blues Deluxe -- the Epiphone version of the Gibson ES-5 -- with upgraded Planet Waves locking tuners, and a Roadrunner hardshell case. 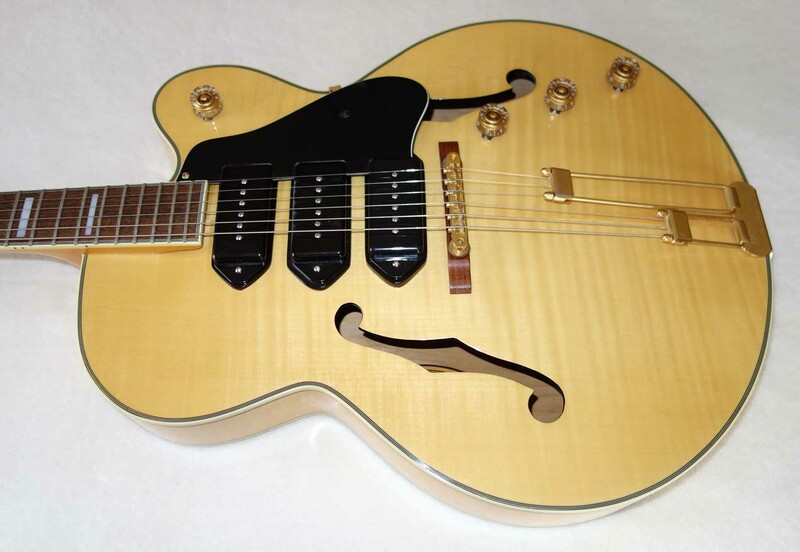 The Gibson ES-5 guitars are in the $5k - $10k range, both current and vintage, so these Epi Zephyy Blues Deluxe poor man's versions really are a great way to have this kind of ES-5 fun without breaking the bank. 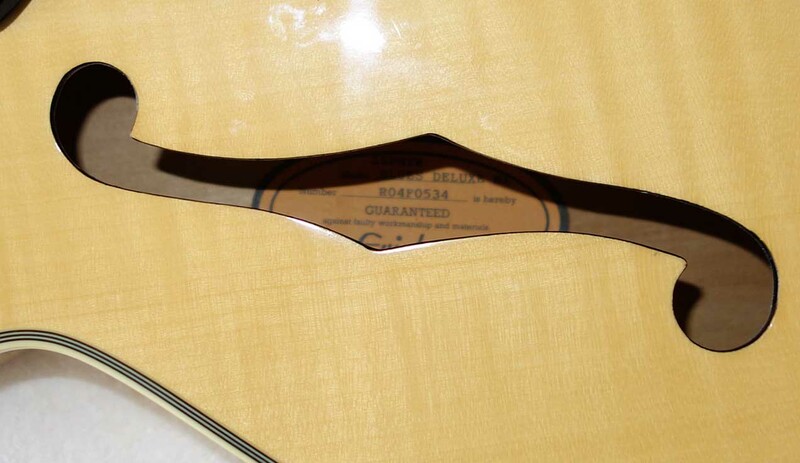 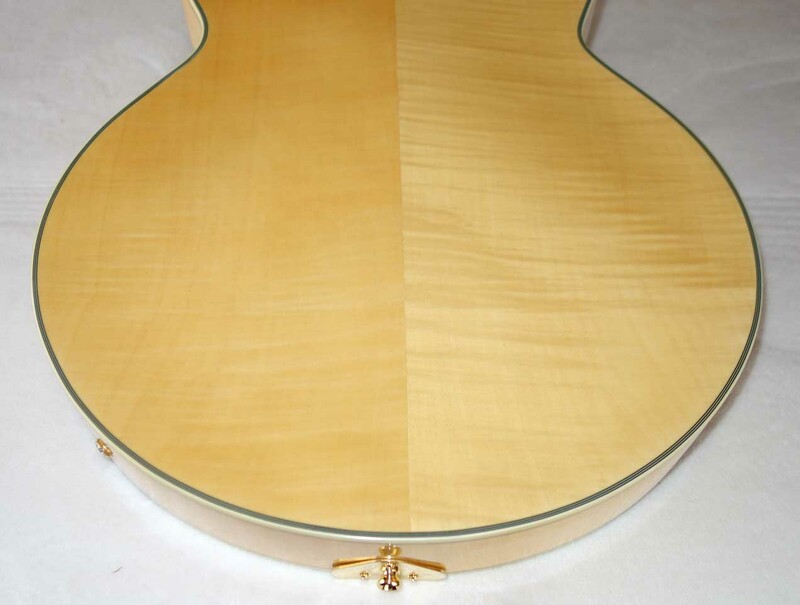 The guitar has a very comfortable, medium 1 11/16th profile, and the frets have lots of life on them. 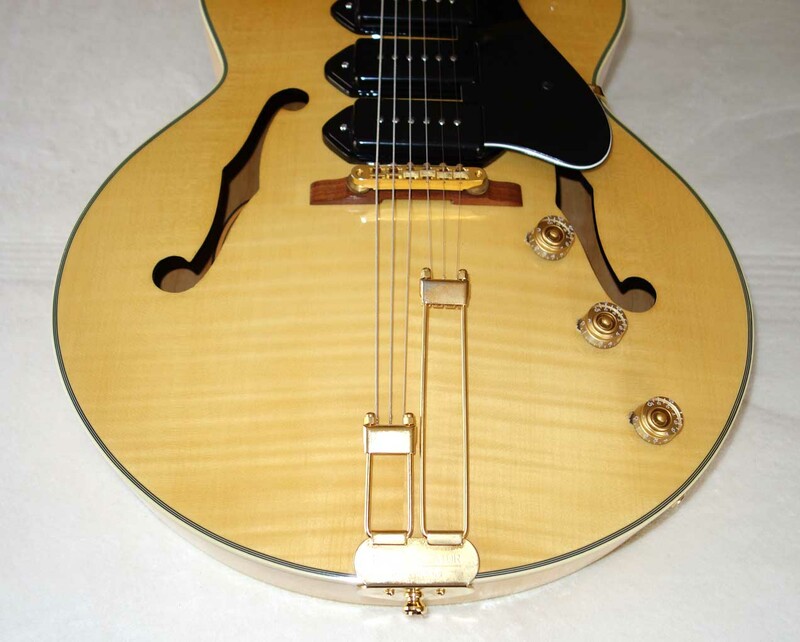 The Epi P90 is actually a very good sounding P90. 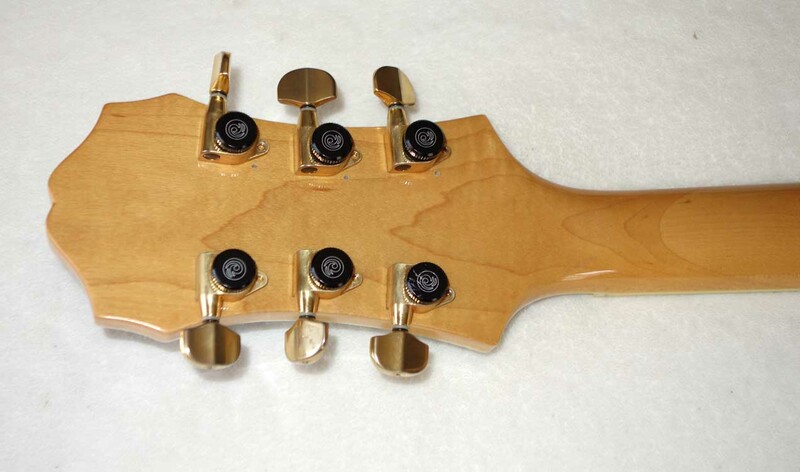 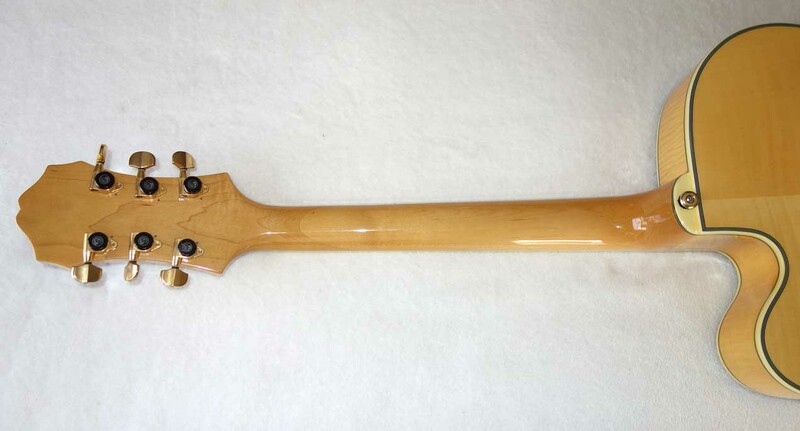 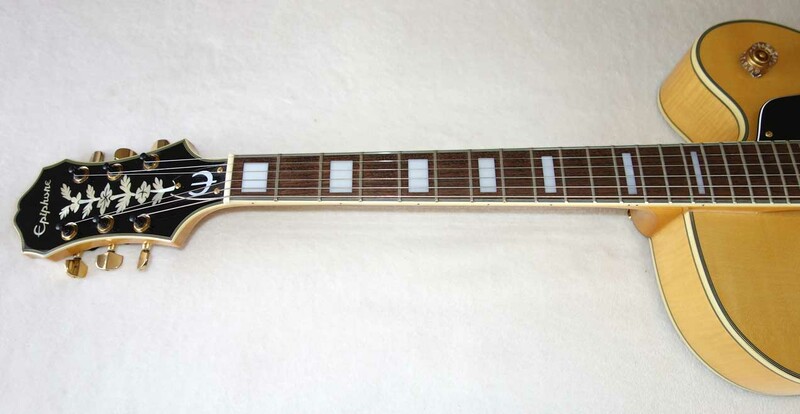 These ZBD guitars have been discontinued for about 10 years now, and are getting harder to find. 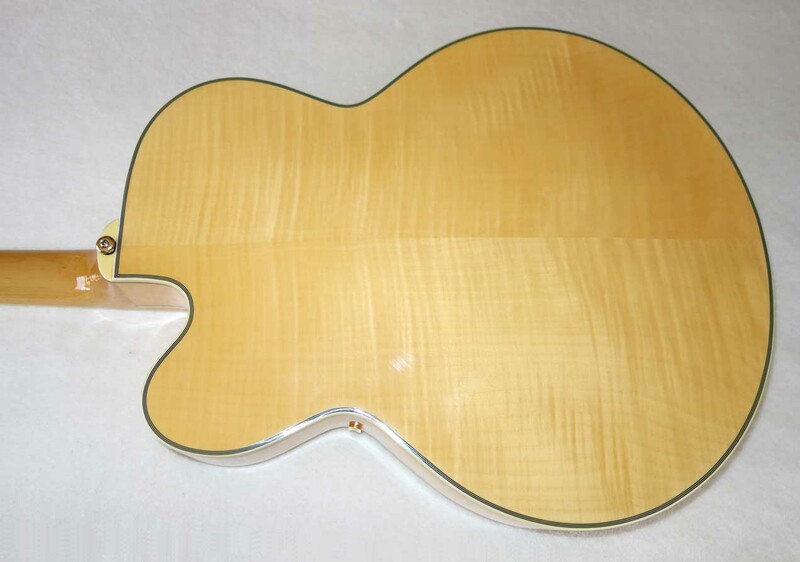 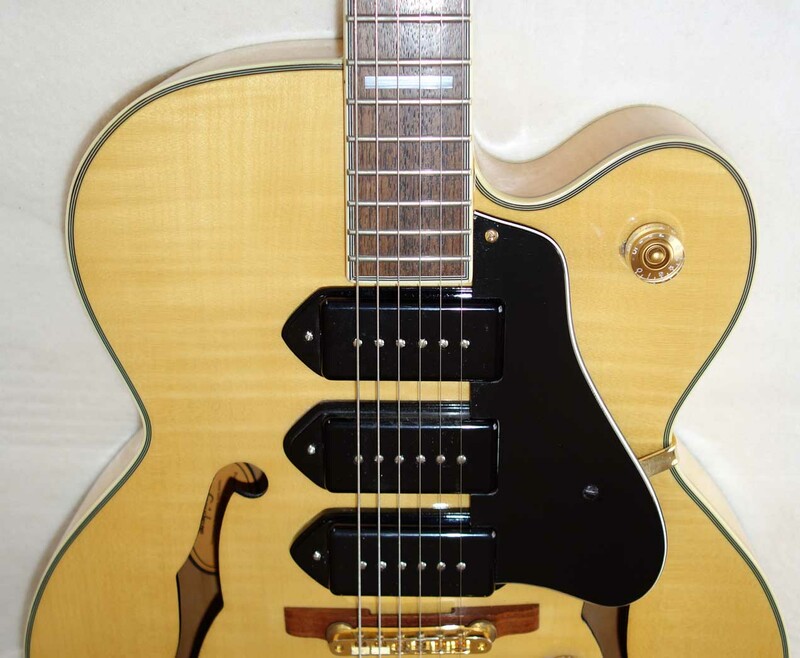 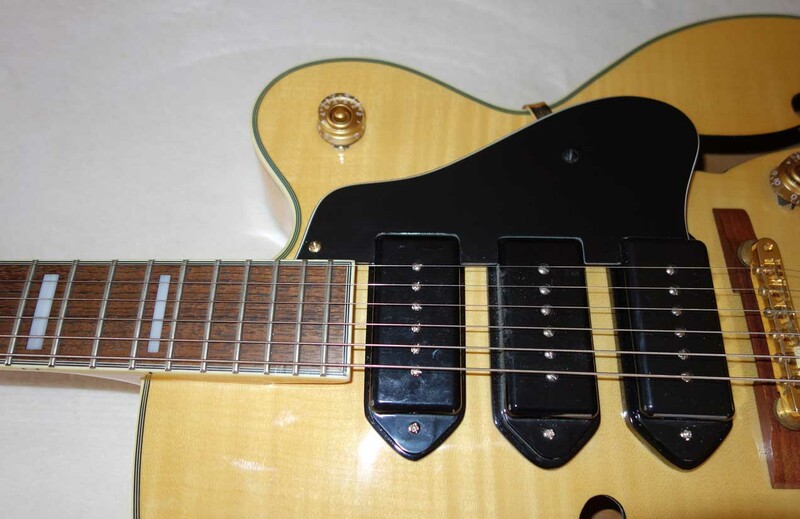 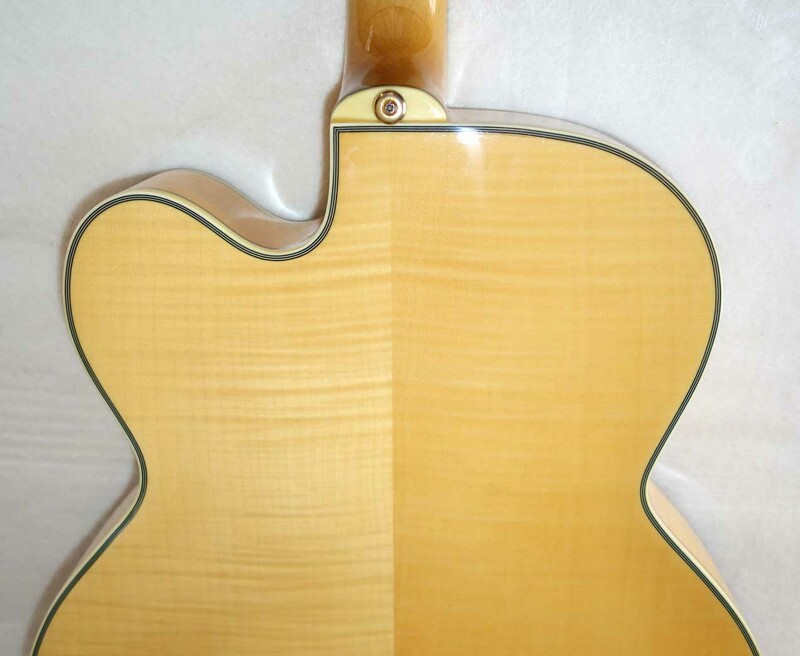 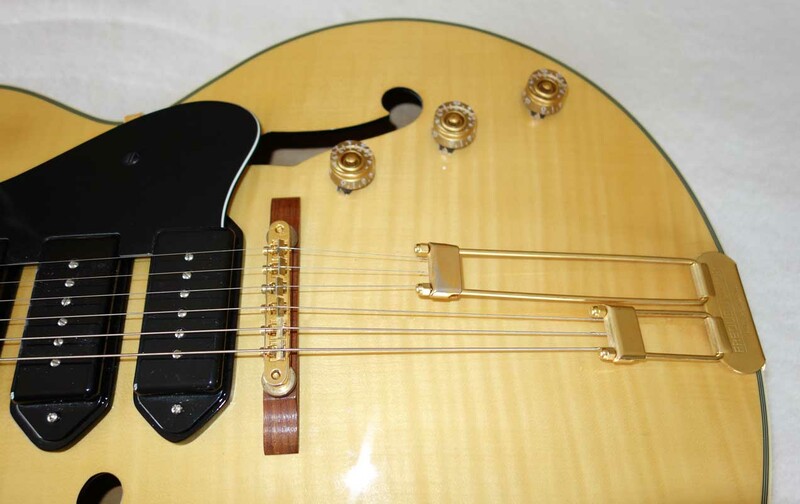 Also, the Epi Peerless made / MIK hollow body archtops of are very high quality, and are rightly sought after. 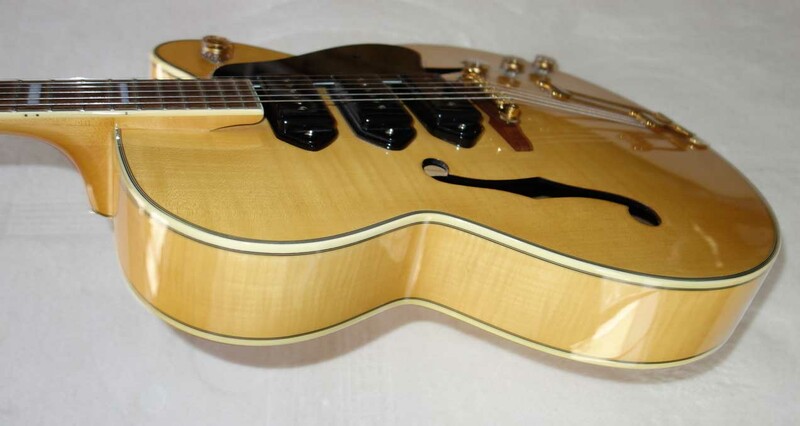 All in all, a great-playing and great-sounding guitar that hits all the right ES-5 spots.